Elise Esasky joined the Read Charlotte team in March 2017 as Communications Manager. Elise brings a variety of experience to the role after spending nearly a decade as a reporter and bureau chief in local TV news, shooting, writing and editing her own stories, and most recently, Communications Manager at Blumenthal Performing Arts. She holds a bachelor’s degree in mass communications from the University of West Georgia. Elise was raised just outside of Atlanta, Georgia but has fallen in love with Charlotte since 2012. 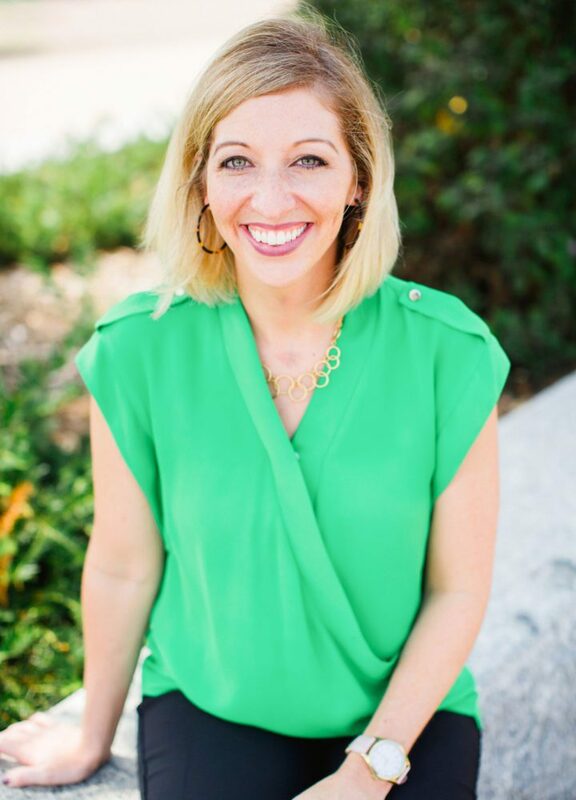 A former dance teacher, Elise has a strong passion for the success of children and feels incredibly grateful to be in this position in the city she now calls home with her husband, Nick, and their daughter, Brinson. Elise’s favorite childhood book is the classic Charlotte’s Web. The book had such an impact on her, in fact, that she now has a pet pig that is very much a part of her family. Her name is Violet and yes, she lives in the house.